It’s official: miles driven on America’s roadways in 2018 totaled 3.225 trillion. To repeat: 3.225 trillion miles, can you imagine?! This is according to information in the “Traffic Volume Trends – December 2018” report from the branch of the U.S. Department of Transportation known as the Federal Highway Administration. That’s a quarter-of-a-trillion more vehicle-miles driven since 2012 when American motorists logged 2.969 trillion miles. Between 2013 (with a total vehicle miles traveled or VMT figure of 2.988 trillion) and 2018 inclusive, Americans annually, have driven an average 3.12 trillion VMT. With this kind of mileage driven, it would seem as though American motorists have the market on driving cornered, that, or we have a lock on it or we’re driving as if driving was the hottest thing going. A roughly 0.4 percent increase in vehicle miles driven in 2018 over that in 2017. Possibly accounting for the increases starting approximately in 2013 were, predominantly, a recovering economy and low gas prices, relatively speaking. There are other possible contributing factors, too, such as a concept known as ride hailing (the availability of such having become more and more pronounced in recent years) and leading to reduced transit ridership in certain instances on account of this. If there is a bright spot (from an environmental point of view) in any of this, it is that the number of electric vehicles sharing roadway space has risen. These are obviously friendlier on the air, particularly if the electricity used to recharge electric car batteries is produced from renewable means, meaning from solar, wind, etc. In California, of all new vehicle sales new electric car purchases weighed in at seven percent. Furthermore, and of particular note, between 2016 and 2018, data show that the greatest amount of highway driving was done during the month of June with the least amount taking place in January.1 This is true for both rural and urban highways. As far as projections, there is no reason to think that the point of peak driving has been reached, especially with continued increases in population and in urban, suburban and exurban sprawl coupled with a robust economy. However, going forward, the amount of driving could very well be affected by physical infrastructure limitations and conditions encountered such as by on-road congestion. 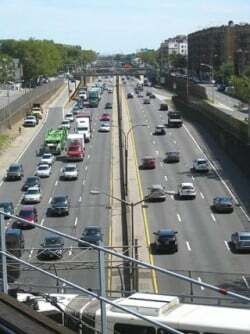 Without expanding capacity, many of America’s roadways in urban settings especially, may become more and more bogged down which would and does have a countervailing effect on driving. This post was last revised on Mar. 30, 2019 @ 7:17 a.m. Pacific Daylight Time.